Fiona Apple is back in the studio for the first time in three years. As SPIN reports, Fiona will contribute two new recordings to The Best Is Yet to Come, a forthcoming compilation honoring Cy Coleman, a composer whose most famous material was performed by Frank Sinatra. On the collection, Apple performs Coleman’s “Why Try to Change Me Now” and “I Walk a Little Faster,” which was popularized by Tony Bennett. Patty Griffin, Nikka Costa, Jill Sobule, and Missy Higgins are among the other artists who honor Coleman’s musical legacy on the album. No release date set, from what I can tell. Icelandic band Múm (pronounced “moom”) is releasing another album and is touring the U.S. I received my ticket to the Portland show (Nov 4th) in the mail today. I figured it was related to an album, but hadn’t heard that until today (over on the BrooklynVegan blog). Musically, Múm are akin to Sigur Rós meets Frog Pocket. And for those not in the know about Frog Pocket… well, the prior sentence meant that Múm are like a glitchy-electronic Sigur Rós. 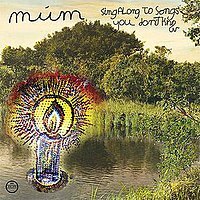 Honestly, I hadn’t looked, but I now find out that Múm’s new album (Sing Along to Songs You Don’t Know) is due out in August 2009, but it has already been leaked. Oh, internets, when you you ever learn that in order for the arts to continue and flourish, you should pay for it!